A strengthening band of baroclinicity across the region will bring the potential for very heavy and possible convective snow at times. The snow has already erupted this afternoon in Minnesota and is poised to develop further in areas near the MN/IA.WI corner. 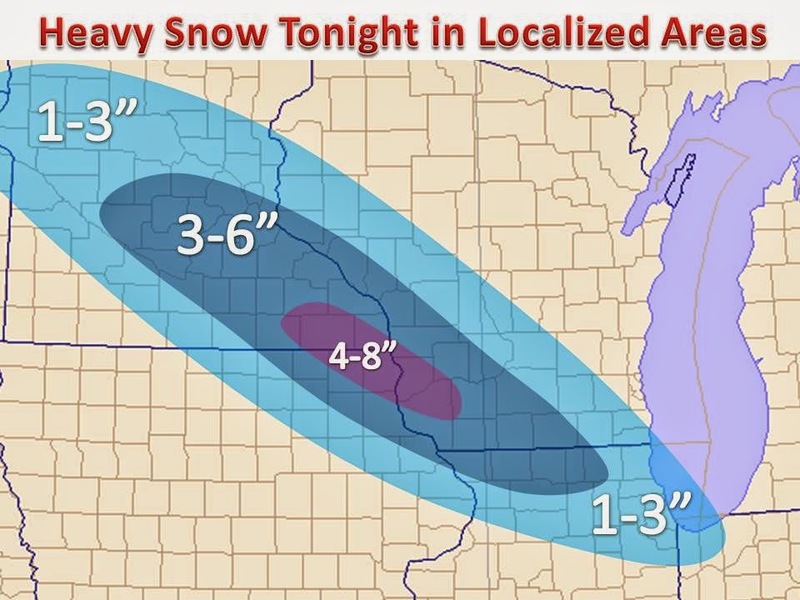 It appears that a wide area of 3-6" will be likely by Monday morning, but withing the swath areas will see amounts near 8" where the bands of heavier snow set up over. Winter weather advisories and warnings have been posted.